HI! Welcome to my art website. I'm Alicia Smith and I'm a Certified Bob Ross® Landscape and Wildlife Instructor. My husband, William (Will) Smith is also a Certified Bob Ross® Landscape Instructor. We have been involved in Art for over 25 years. We love creating and sharing our art whether its oil, acrylic, pastel, pencil or watercolor. Our favorite by far is the Bob Ross wet on wet landscapes. We now travel full time in our RV and no longer offer art classes. To locate a Bob Ross instructor in your area click on this Bob Ross Art Class link. Here you'll find some of our favorite art pieces. Some of them are based on Bob Ross® Joy of painting series. We truly believe Bob was a master at depth and perspective as well as the usage of color to create many very strikingly beautiful pieces. We invite you to view our personal gallery of artwork we offer for sale by clicking Artwork for sale now. Let Us Paint It For You. 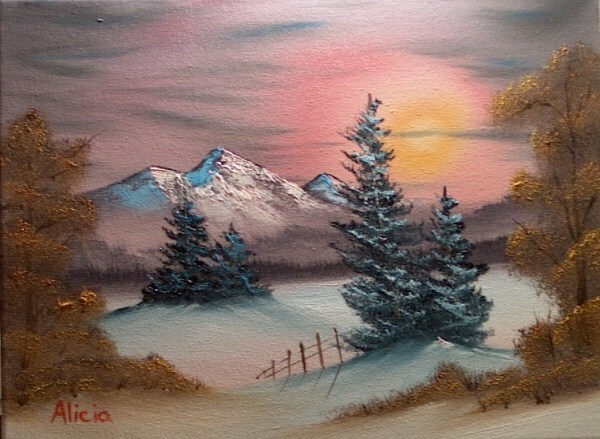 Do you have a favorite Bob Ross landscape you would like, but you don't care to paint it yourself? 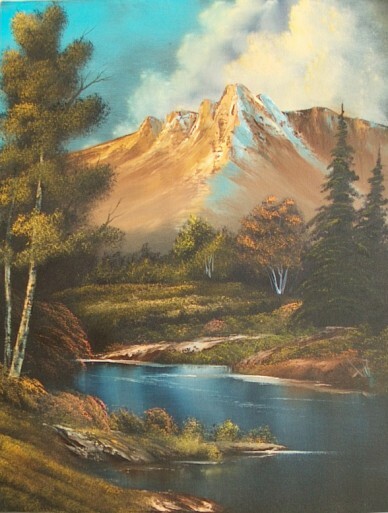 Maybe you've seen Bob paint a landscape or seascape on TV that you would love to have. 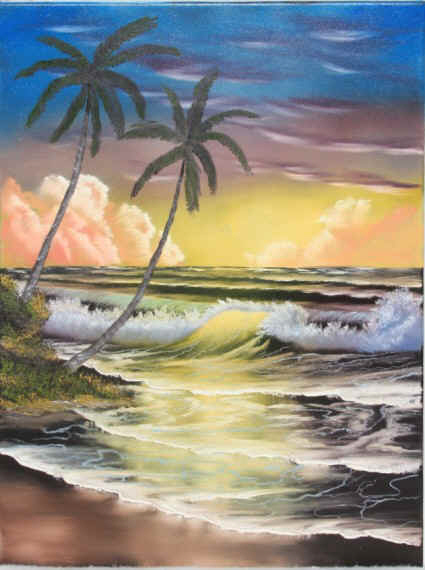 Or maybe you have a Bob Ross book with one of his landscapes or seascapes you think would make an excellent gift for someone. If you are not interested in painting it yourself, No Problem. We'll paint it for you. For information and pricing click Paint It For Me. Maybe you would like to surprise someone with a beautiful portrait of their pet, or you want a portrait of your special pet. 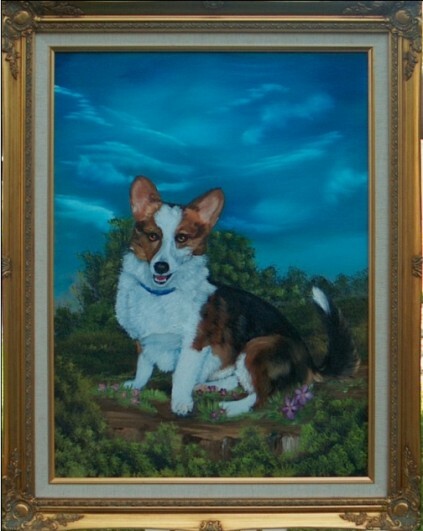 If you can supply me with a clear picture, I'll be happy to paint a pet portrait for you. For more information and pricing just click on Pet Portraits.